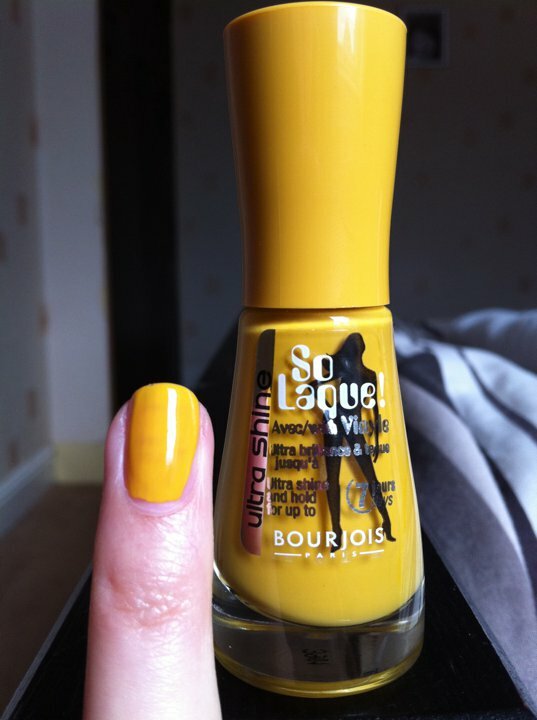 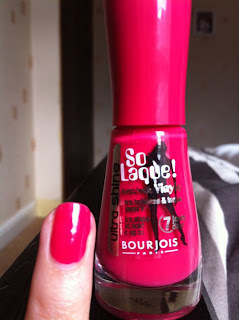 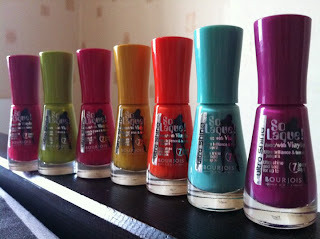 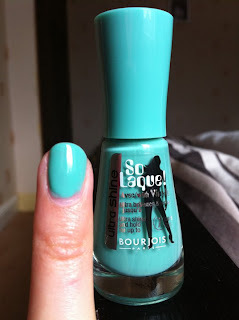 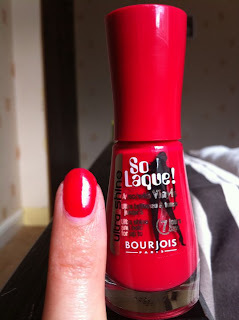 These 7 nail enamels from Bourjois are GORGEOUS!!!! 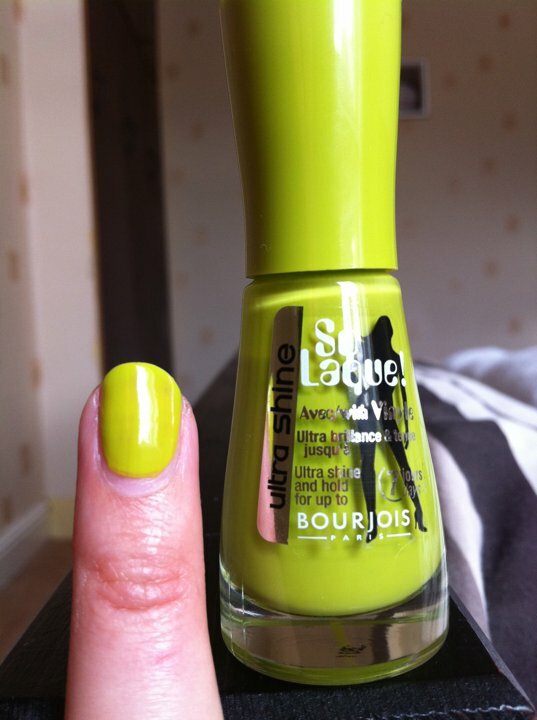 The colours are very bright and summery. 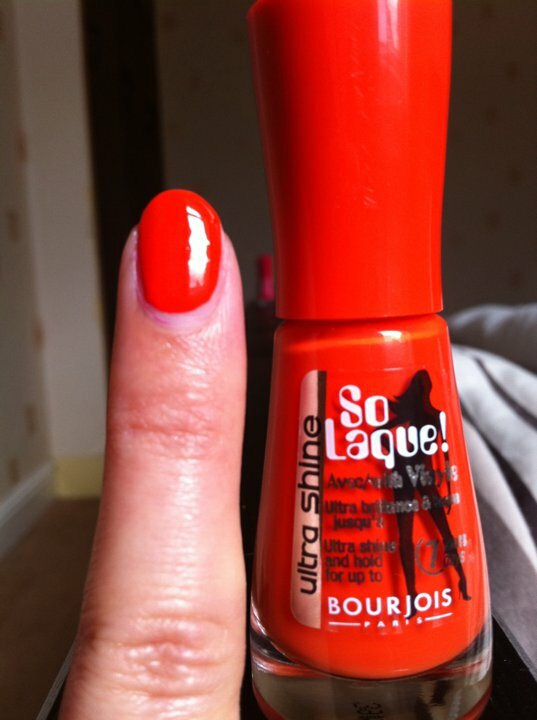 They go on well and have very nice applicators. 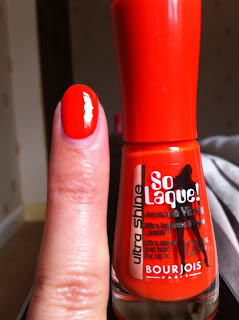 They all have ultra shine and even look fab without a top coat (see pictures below) I would recommend using a top coat to ensure longer lasting wear. Mine lasted a good 5 days with two coats plus a top coat :) Also make sure to use and base as you don't want the colour to stain your natural nail. 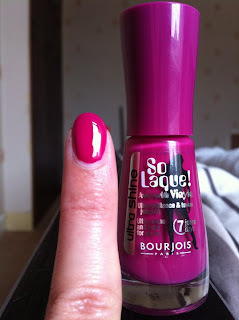 My personal favourite colour is Magenta Show because i love pink nail enamels and own loads :) My least favourite is Lime Catwalk because i just can't see myself wearing a green nail enamel.